Dr. Khalil accepts the following list of insurance providers. Select your insurance provider to see more details. I am a board-certified medical oncologist who specializes in caring for people with hepatobiliary, colorectal, pancreatic, and other gastrointestinal cancers. As a member of the MSK Immunotherapeutics Clinic and the Parker Institute for Cancer Immunotherapy, I am involved in the range of cancer immunotherapy research from basic science to clinical trials. 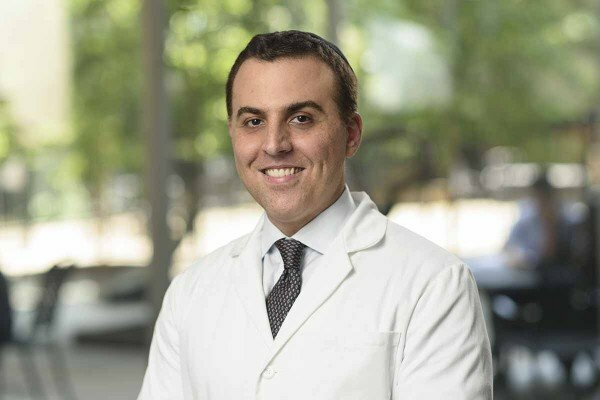 With support from the Tri-Institutional Therapeutics Discovery Institute and the MSK Technology Development Fund, my work is largely focused on developing next-generation immunotherapy drugs. By targeting fundamental mechanisms of immune tolerance, these drugs are designed to treat diverse advanced cancers including colon cancer, prostate cancer, liver cancer, and breast cancer. Khalil DN, Smith EL, Brentjens RJ, Wolchok JD. The future of cancer treatment: immunomodulation, CARs and combination immunotherapy. Nat Rev Clin Oncol. 2016 Jun;13(6):394. doi: 10.1038/nrclinonc.2016.65. Epub 2016 Apr 26. Khalil DN, Segal NH. Modern Immunotherapy for the Treatment of Advanced Gastrointestinal Cancers. Oncology (Williston Park). 2016 Jan;30(1):85-90, 93. Review. Visit PubMed for a full listing of Dr. Khalil’s journal articles. Pubmed is an online index of research papers and other articles from the US National Library of Medicine and the National Institutes of Health.